Spring is getting closer and closer but in the meantime we continue to focus on perfecting recipes and of course taking as many trips to breweries as possible! That’s probably a good place to take off from the last blog entry! First, I have to say that everyone that I’ve met in the brewing world in Georgia has been incredibly welcoming and helpful. It’s an absolute pleasure to play a part in bringing more great beer to Georgia. 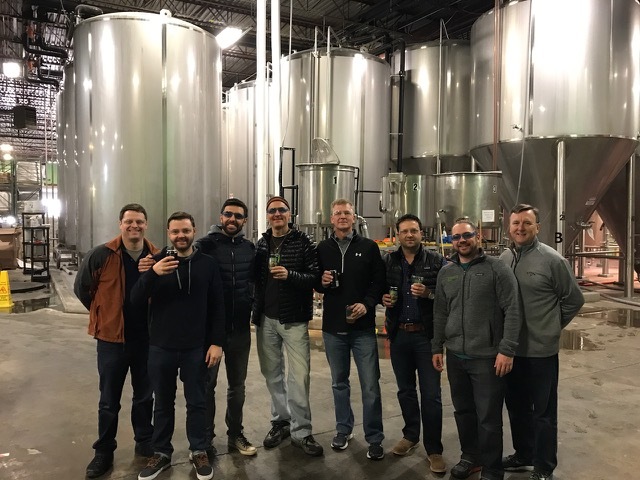 Wild Leap, Terrapin, Southern and Creature Comforts are among the breweries that we’ve visited over the past few weeks. We were incredibly lucky to get to taste a brand new Galaxy forward IPA from Terrapin thanks to Spike, the founder of Terrapin, and Dustin. It was direct from the FV and it was just awesome! 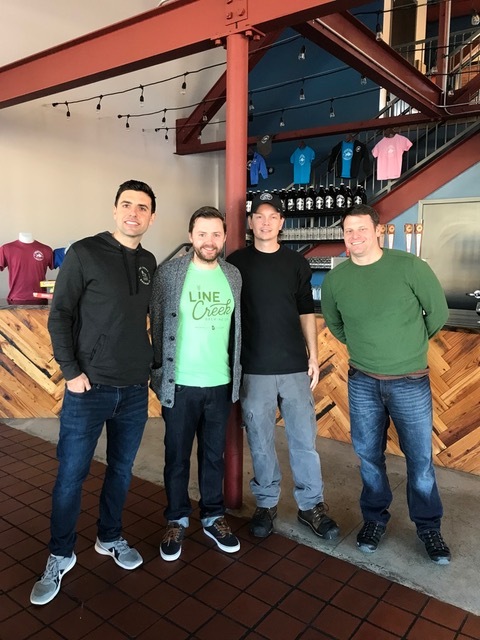 Chris at Creature Comforts also gave us a behind the scenes look at their impressive operations and also gave us some Tropicalisima, their DIPA. Man that’s a good beer! All the guys at Southern were more than happy to give us a sample of a couple of their upcoming sours. The name of one of their sours escapes me but it’s one of the best sours I’ve ever had. It was beautifully balanced and not too tart. Thanks again to Brian and the guys. Yesterday we got to meet Chris who is the Head Brewer at Wild Leap. Just like every other Head Brewer I’ve met in Georgia, Chris gave us lots of his time and was more than detailed in everything he spoke about. I for one really enjoyed talking shop! Chris has a Peach Cobbler ale on at his Tap Room… if you’ve the time to go there for a visit make sure you try it… It’s really really good. I know that Christmas is well behind us now but I thought that I’d mention an amazing gift that I got from my brother back in Ireland and with the help of a company in Fayetteville. My brother had mentioned to me that on a certain day before Christmas that someone he knows will be delivering a gift to my door and to make sure that I’m there to receive it. Of course my mind started racing… What could it be? And how does he know someone in Georgia!!!! I was confused and of course he loved that fact that I was confused! The day came for his friend to deliver the gift! It turns out that my brother had been in contact with Lin from SignVisions all this time! Lin came to my door with the gift that my brother had designed and the guys at SignVisions did a spectacular job. 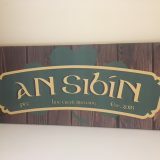 For want of a better description, An Sibín essentially describes an old Irish Speakeasy! I’ve just got to find a place to hang it now! I’ve gone for more of an East Coast/West Coast blend for this one. I’m looking for a balanced SIPA much like the IPA and DIPA but with the addition of more caramel malt and a blend of east and west coast hops. I’m going to go with Nugget which is holding it’s own as our primary bittering hop, the classic west coast hop Cascade and the hugely aromatic Amarillo and Citra. There are certain processes that make a NE style IPA so I plan on applying those to the SIPA to achieve the aroma I’m looking for. In terms of yeast I’m going to run with US-05 which has really good attenuation as well as being a pretty neutral yeast. I’m excited about this one! Who doesn’t like a good Hefe?! Some of my favorite beers in the world are Hefeweizens… Weinstephaner, Schneider Weisse Original & the Franciscan Well’s Friar Weisse. I remember clearly the first week I worked in The Franciscan Well Brewery… the brewers at the time had just brewed the Friar Weisse and the whole brewery smelled of bananas and cloves. It was beautiful! The yeast that the guys were using was Wyeast’s 3068… and that’s exactly what I’m going to use!! The malt base is pretty modest with a decent ratio between pilsner malt and wheat but the stars of the show are going to be the yeast and a healthy dose of fresh Georgia peaches! In my experience you’ve got to be real careful when adding fruit to beer as it can cause additional fermentation and sometimes it can introduce foreign yeast strains… but… I’ve got it covered. Great post: Bring on the Citra hops – can’t wait to taste the IPA. Hey Max, absolutely love Citra also, be it a supporting hop or taking the lead with Dry Hopping. I can’t wait either!